Normally, the heartbeat is triggered by electrical impulses which start in a special area of the heart tissue called the Sinoatrial (SA) node. From the SA node, these impulses flow down and across special electrical conduction pathways (cells) which cover the whole heart. These electrical impulses result in your heart squeezing (beating) regularly like a clock; diseases within the electrical pathways of the heart cause an abnormal irregular heart rhythm to occur and these are called arrhythmias. 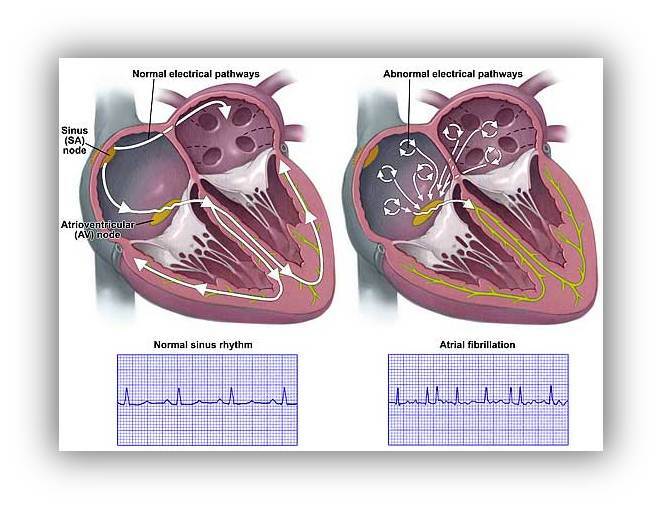 Atrial fibrillation is the most common heart arrhythmia and is sometimes referred to as A.F. It is a condition in which lots of small abnormal electrical pathways (electrical circuits) develop within the two upper chambers of the heart or ‘atriums’ causing the heart to beat erratically and often fast. When atrial fibrillation is controlled by medications, most people live a normal life with few symptoms, however, if poorly controlled or resistant to medications, their condition can become serious, particularly if the heart beats too fast causing a drop in blood pressure or if blood clots within the heart leading to a stroke. Other treatments for A.F. may include. 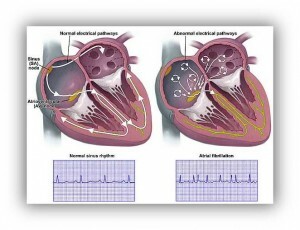 Electrical cardioversion, where the cardiologist or surgeon uses special paddles on top of the chest/heart to “shock” or “short circuit” the heart back into a normal rhythm. Catheter ablation, where the cardiologist uses a special tool to destroy (ablate) the abnormal electrical tissue cells that cause the arrhythmia. This is done in a cardiac catheterization laboratory (cath lab). If these treatments do not work or if a patient is due to undertake cardiac surgery for a different reason (coronary artery by-pass, valve repair/replacement) a surgical procedure can be carried out. This type of surgery is called Concomitant Maze Surgery. 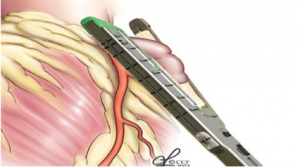 Specific patients could have Stand Alone Surgical Cardioablation or Hybrid Cardioablation, where two procedures a surgical one and a percutaneous one are combined to achieve better results, for a specific group of patients. During a Maze procedure, a surgeon creates a “maze” of new electrical pathways in order to let electrical impulses travel more easily through the heart. If you get occasional atrial fibrillation or if your atrial fibrillation has been persistent for up to 12 month or so, we recommend an isolated Maze procedure to the left atrium. If however your arrhythmia has been present for a much longer period then you are best treated with a more extensive procedure that includes pulmonary vein isolation plus other linear lesions in order to destroy the abnormal circuits. Your surgeon will use special equipment (called a Cardio-ablator) to create a series of shallow lesions on your heart. These lesions work like the “Great Wall of China”. They separate the abnormal electrical pathways from the non-diseased heart cells allowing a normal heart rhythm to develop. The number of lesions required will depend on the “type “of atrial fibrillation your are suffering from. 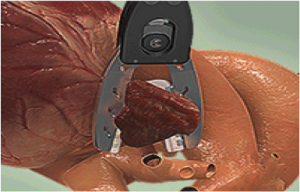 The type of cardioablator will depend on your surgeons’ preferences. It is not always necessary to open the heart to perform this kind of operation but it may be necessary if extensive lesions are needed or valve surgery is to be performed. The left atrial appendage is an area within the left atrial chamber where blood can pool and become immobile during atrial fibrillation. Static blood can lead to clot formation. Dislodgement of this clot can cause devastating embolic episodes known as strokes. Surgical removal of the left atrial appendage along with cardioablation for atrial fibrillation can lead to a significant reduction of the risk of stroke and the need for blood thinning medications called anticoagulation. The Society of Thoracic Surgeons 2017 Clinical Practice Guidelines for the Surgical Treatment of Atrial Fibrillation. Badhwar V, Rankin JS, Damiano RJ Jr, Gillinov AM, Bakaeen FG, Edgerton JR, Philpott JM, McCarthy PM, Bolling SF, Roberts HG, Thourani VH, Suri RM, Shemin RJ, Firestone S, Ad N. Ann Thorac Surg. 2017 Jan;103(1):329-341. doi: 10.1016/j.athoracsur.2016.10.076. Review. Left-Sided Surgical Ablation for Patients With Atrial Fibrillation Who Are Undergoing Concomitant Cardiac Surgical Procedures. Ad N, Holmes SD, Lamont D, Shuman DJ. Ann Thorac Surg. 2017 Jan;103(1):58-65. doi: 10.1016/j.athoracsur.2016.05.093. Epub 2016 Aug 17. Contemporary Trends in Oral Anticoagulant Prescription in Atrial Fibrillation Patients at Low to Moderate Risk of Stroke After Guideline-Recommended Change in Use of the CHADS<sub>2</sub> to the CHA<sub>2</sub>DS<sub>2</sub>-VASc Score for Thromboembolic Risk Assessment: Analysis From the National Cardiovascular Data Registry’s Outpatient Practice Innovation and Clinical Excellence Atrial Fibrillation Registry. Katz DF, Maddox TM, Turakhia M, Gehi A, O’Brien EC, Lubitz SA, Turchin A, Doros G, Lei L, Varosy P, Marzec L, Hsu JC. Circ Cardiovasc Qual Outcomes. 2017 May;10(5). pii: e003476. doi: 10.1161/CIRCOUTCOMES.116.003476. 2015 ACC/HRS/SCAI Left Atrial Appendage Occlusion Device Societal Overview: A professional societal overview from the American College of Cardiology, Heart Rhythm Society, and Society for Cardiovascular Angiography and Interventions.Masoudi FA, Calkins H, Kavinsky CJ, Slotwiner DJ, Turi ZG, Drozda JP Jr, Gainsley P; AmericanCollege of Cardiology; Heart Rhythm Society; Society for Cardiovascular Angiography and Interventions. Catheter Cardiovasc Interv. 2015 Nov;86(5):791-807. doi: 10.1002/ccd.26170. Epub 2015 Sep 21. Review. No abstract available. ACS Evidence. Peer review evidence base library. 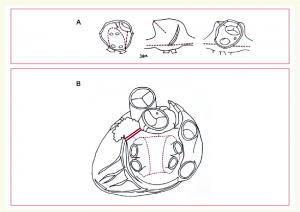 Success of surgical left atrial appendage closure: assessment by transesophageal echocardiography. Kanderian AS, Gillinov AM, Pettersson GB, Blackstone E, Klein AL. J Am Coll Cardiol. 2008 Sep 9;52(11):924-9. 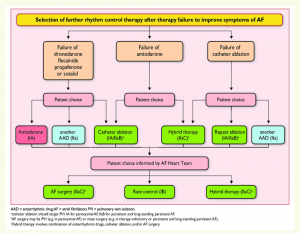 Surgical approaches for atrial fibrillation. Saltman AE, Gillinov AM. Cardiol Clin. 2009 Feb;27(1):179-88, x. Review. Choice of surgical lesion set: answers from the data. Gillinov AM. Ann Thorac Surg. 2007 Nov;84(5):1786-92. Review. 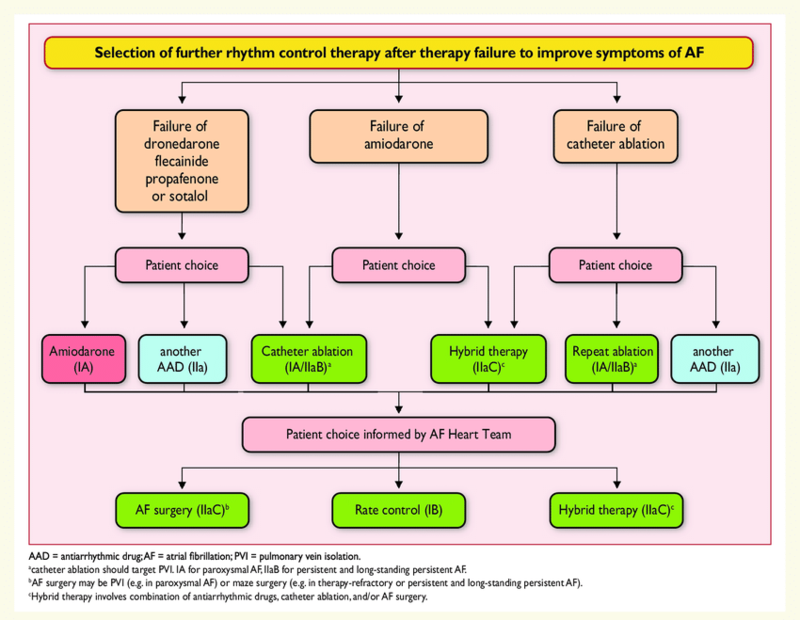 Ablation of atrial fibrillation with concomitant cardiac surgery. Gillinov AM, Saltman AE. Semin Thorac Cardiovasc Surg. 2007 Spring;19(1):25-32. Review. 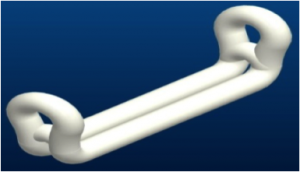 Effect of clopidogrel added to aspirin in patients with atrial fibrillation. ACTIVE Investigators, Connolly SJ, Pogue J, Hart RG, Hohnloser SH, Pfeffer M, Chrolavicius S, Yusuf S. N Engl J Med. 2009 May 14;360(20):2066-78. Benefit of oral anticoagulant over antiplatelet therapy in atrial fibrillation depends on the quality of international normalized ratio control achieved by centers and countries as measured by time in therapeutic range. Connolly SJ, Pogue J, Eikelboom J, Flaker G, Commerford P, Franzosi MG, Healey JS, Yusuf S; ACTIVE W Investigators. Circulation. 2008 Nov 11;118(20):2029-37. Relationship between CHADS2 score and ischemic stroke during rhythm control therapy for paroxysmal atrial fibrillation. Komatsu T, Tachibana H, Sato Y, Ozawa M, Kunugida F, Orii M, Nakamura M. Int Heart J. 2010 Jan;51(1):24-9. Left atrial appendage occlusion with the Amplatzer Amulet for stroke prevention in atrial fibrillation: the first case in Greece. Tzikas A, Karagounis L, Bouktsi M, Drevelegas A, Parcharidou D, Ioannidis S, Krasopoulos G, Giannakoulas G. Hellenic J Cardiol. 2013 Sep-Oct;54(5):408-12.